What do you do when all of sudden you are holding a dusty, retro, awesome camera? Yes you go scream like a schoolgirl. I was cleaning the closet when I found a camera bag. And when I see something that's camera related I will turn happy. 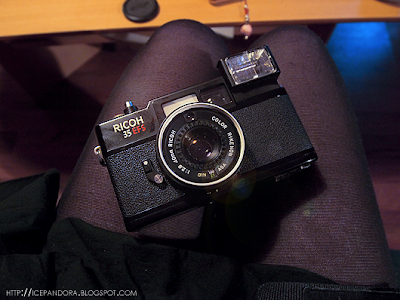 I opend the camera bag and found an analoge camera by Ricoh. What a jolly moment I had! Unfortunate the camera is broken - BUT! I can still use it as a cool accessory! Music: The Beatles (Glee cover Kurt) - I want to hold your hand One of my favorite Glee character is singing a heartbreaking song. Kind of remind me of my own situation and yes I cried. That camera is SO cool! What a good find! 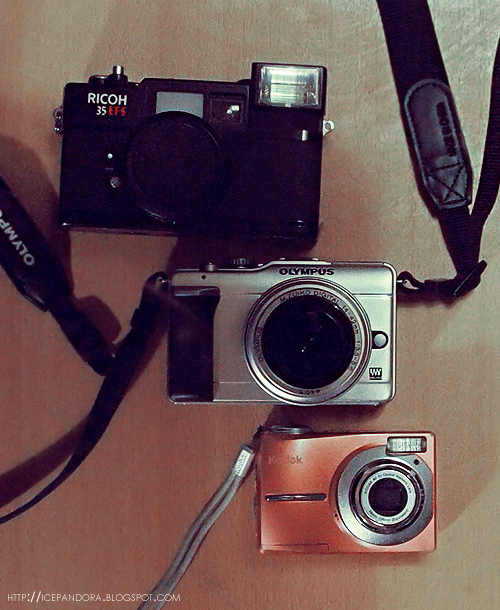 Man, you make me want to buy a new camera >.<"
omg so cool that your dad had that! The camera is gorgeous! makes a really good accessory! OMG! The camera is so cute!! And so is your blog! 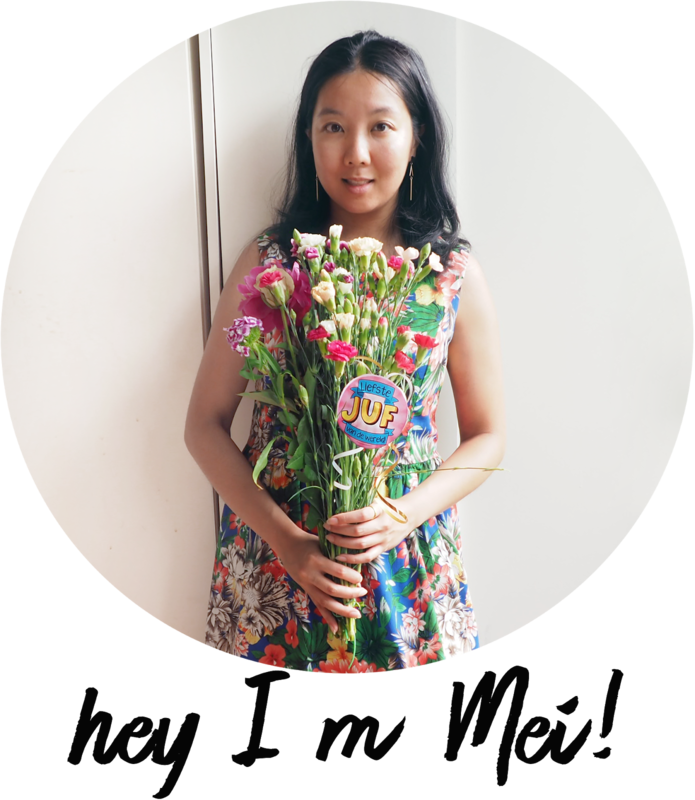 Followed on bloglovin'! And I would appreciate if you liked this wallpost on facebook! I'm a contest..
Eh, jammer dat hij 't niet doet, iig ziet hij er supercool uit :D! echt iets om vintagelike fotos mee te maken :)! Yes yes use it for accessories and props in your photo. I get excited over cameras too and the rich is a stunner. What a true retro! Hehe I have a feeling your camera collection is going to expand. Envy you !You have lot camera, and the old one is producing a good picture :) Dont you want to repair it Mei ? 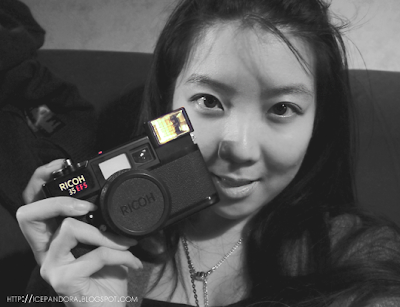 that ricoh is so adorable! wish it is not broken! thanks for ur comment<3 looking forward for ur new post! This would be a great accessory! How exciting!! I want one so bad! I'm jealous! Do you want me to get the link for you? It's really nice,so vintage!I wish I had one just like this too! great photos. :) thanks for dropping by my blog.